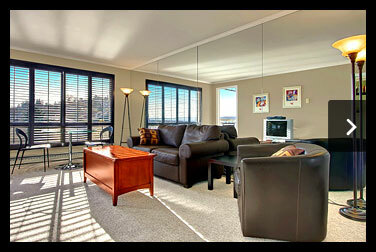 Furnished condos in the Village of Leschi. Take a scenic drive to the laid back, waterfront community of Leschi. Close enough to downtown, yet away from the hustle and bustle of the city. Situated on the western shores of Lake Washington, Leschi boasts amazing views, restaurants, and shops accessible by both land and lake. Leschi Waterfront Condo #405. One-bedroom suite. Stroll Lakeside Ave and watch the weekly "Duck Dodge" of small sailing vessels as they scamper off the shores, or even join a local rowing club. Explore the extensive park system from Lakeside Park to Frink Park to all the pocket parks in between. Discover the extensive hiking trails or stop by the Leschi Market for local picnic cuisine. Close to necessary amenities and excellent public transportation for those without a car. 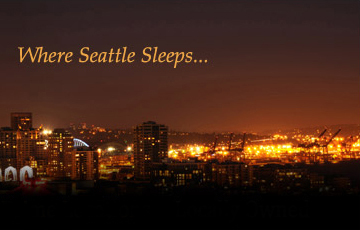 Discover the hidden gem of Leschi today!